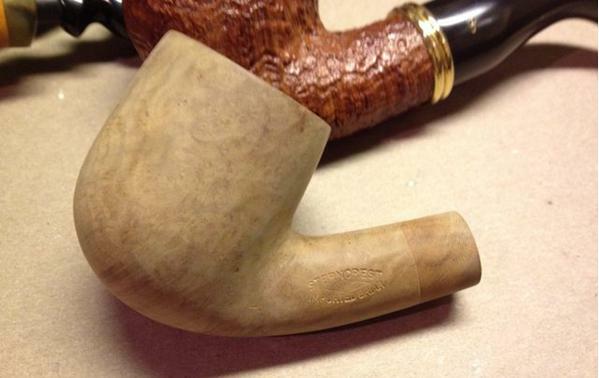 Here is a super technique shared by Dave Gossett on RebornPipes for removing the stain from briar pipes. I’ll be trying this on my next estate refurb for sure. Thanks Dave! I’ve been working on a stain removal recipe/technique with some junker pipes and came up with this. It works pretty well. It will also strip the color out of any fills in the pipe and they will stand out afterwards. This is great for a fill free briar, but not recommended if it does, unless you plan on digging out the old fills and replacing them with briar dust. 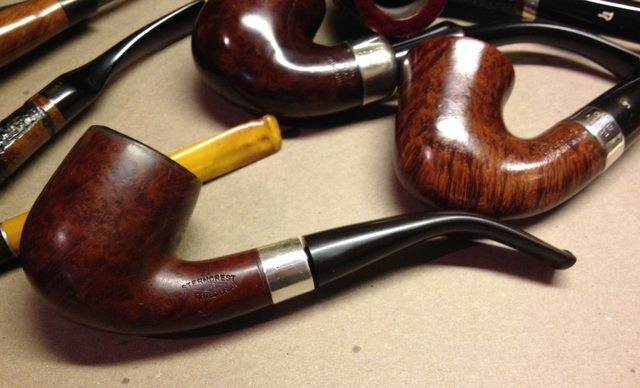 I always advise trying new repair and restoration tips on a test pipe before trying it on a keeper. Step 1. Use Murphy’s wood soap to remove the wax. Take care not to get the Murphy’s soap inside the pipe! Step 2. Wipe down with alcohol.